So, you probably all know me as having quite blonde hair. I last had it highlighted 2 years ago, and since then I just used a blonde box dye all over to stop my roots showing. Now I’m fed up of blonde hair, and I want it back to natural brunette. So a few times now I have put a brown permanent dye on my hair, which looks great for the first day, and then it fades, literally in a week! These pics show it.. I started off blonde.. dyed it brown last week… this week.. it’s all blonde at the ends where it was bleached years ago and its sooo uneven! 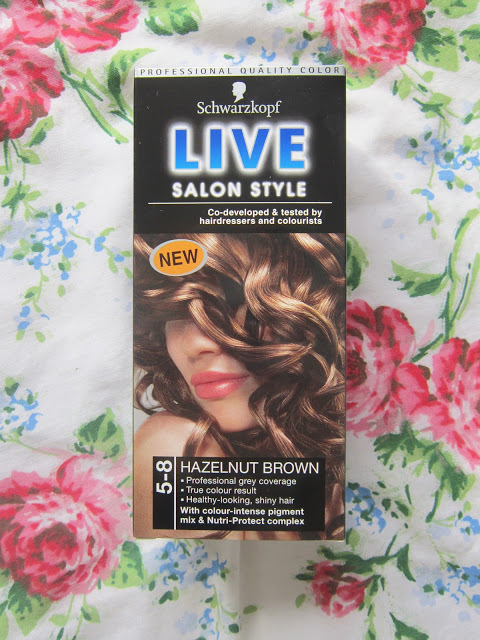 I’ve used this dye, and I love the colour on the box! It didn’t turn out quite that dark for me, but it still looked nice. And now it’s just disappeared :'( I’ve read that I should use a red dye first and then go over it with a brown.. but this sounds scary! Any advice please? Hey huni! I'm a natural brunette and I've been blonde a few times but always returned to being brunette – I find it so much more warming to the skin. Prehaps use a colour remover to get all the previous dye out and then use your hair dye of choice. I had to go like a reddy colour then brown – too keep the 'warmth in! i have brown hair, and then one crazy day died it ready pink.. then i tried to hide it with a black/brown.. it hid it well but then like yours the ends went reddy and the rest was brown … which looked terrible. i ended up going to the hair dresser and getting all the bottom layers cut out so it all blended. however the hairdresser said that i should of used this red die before hand to strip out the colour. It looks great like that! Never use henna!!!! It can not be removed. It has to grow out. You can but the strongest bleach over henna and it won't lift at all. It also has a very dangerous gas that comes off the head when you mix professional color or lighter with henna. A stylist was sent to the Dr because the client lied to us saying she had professional color, and finally admitted it was henna. I know you posted this a while ago, but red dye did you use first? Just I want to go back brown as I am fed up with having light hair and want to get back to a more natural colour. Is it just any red colour?!? Hey guys so i have bleached blonde hair and quite dark brown roots and I need it brown before school starts in a couple weeks. My hair dresser took a few samples of my hair but said each time she applies brown dye to it, it fades really quickly. Is there a way for me to get my hair back to dark brown without it fading or costing loads.? ?